Father's Day is right around the corner and we have the perfect gift. 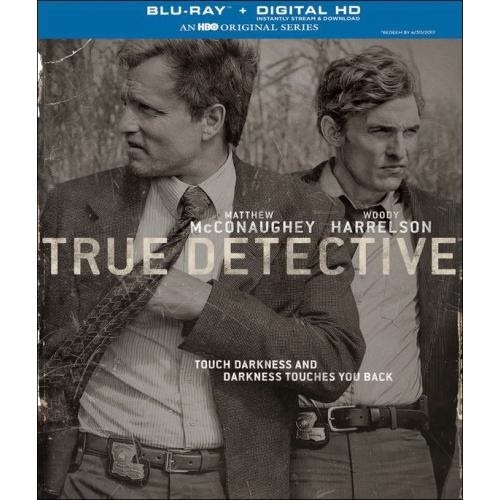 True Detective – Season 1 New Release - Staring Matthew McConaughey and Woody Harrelson. Best Buy is the perfect place to get the HBO series, which is highly talked about. True Detectives will release on June 10th and just in time for Father's Day! In 2012, Lousiana State Police Detective Rust Cohle and Martin Hart revisit a homicide case they worked on in 1995, reopening unhealed wounds, and drawing into question their supposed solving of the bizarre murder. They become entangled in this 17-year hunt for the serial killer. I have to say I am sure all of the dads out there would love this series and the brief description has drawn me in too. I am definitely going to be watching it to see how it all unfolds. I love a good detective movie, especially when it includes these two fabulous actors as well. HBO All at Best Buy on Sale will be from 6/8 – 6/14 - both in store & online. Also contains a Digital Copy. I love Best Buy and shop there all the time. They are my one stop for electronics, movies and games. They offer a huge variety of products and the staff is always very helpful in answering any questions I may have. I also love that they have a FREE Rewards card too. When you shop there you show your card and with each purchase you earn points. Once you reach a certain number of points you will receive a gift card to use in store or online with Best Buy.